People tend to lose the keys to their vehicle every single day. Save time and bucks by calling our pros to replace that lost or misplaced car key. 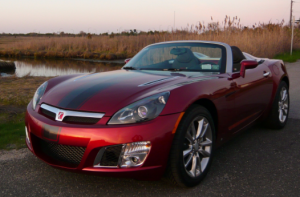 AZ Car Keys tend to be less expensive than auto dealerships for Saturn car keys in Phoenix. Saturn cars were an offset of General Motors and acted fairly independently of the parent company for most of the brand’s existence. Unfortunately, following the pulling of a bid to sell Saturn in 2009, GM discontinued the franchise and all production of the Saturn cars stopped in October of 2009. Although the cars have been discontinued, they’re still fairly common to see on the roads and have several different types of car keys to their name. Obviously the technology in these types of Saturn car keys is not advanced by modern standards; there is definitely something to be said for the simplicity of the Saturn keys and their limited technology. Saturn Car Key Replacement In Phoenix, Arizona! Over the years Saturn had experimented with a wide variety of keys styles and designs, ultimately settling on the popular transponder chip keys and keyless entry two and five button remotes. Saturn had gained some recognition before that, though, for their somewhat clever key fob designs, as they were able to integrate the Saturn logo onto the key in multiple sizes. It is, therefore, no doubt that their keys are some of the most sought after today. As a sub division of General Motors, Saturn first started to use computerized keys with the 2003 Saturn ION Passlock/Passkey system and transponder key, and immobilizer while the standard Anti Theft System was added in with the 2005 Saturn Relay. These types of Saturn car keys and passkeys contain a visible resistor on the metal blade marked with a PK3 or PK3+ while transponder chips are hidden in the plastic top of the key. By 2007, though, most Saturn models adopted electronic keys, Passive Entry Passive Start (PEPS) keyless entry devices, otherwise known as keyless entry remotes, and electronic key fobs. That being said, some models, such as the Saturn Astra 2008, maintained earlier standards and continued to make use of the sidewinder key format. The adoption of the electric key-lock changed the process of replacing several types of Saturn car keys for the company. Now, the creation of a new key, whether a copy or regeneration, would be complete not only by the cutting of the key shaft, but also by programming the specific key to the vehicle. Essentially, this created a much more personalized key making process that must be completed on the car itself with a digital synchronization of the key to the car computer (ECU). Furthermore, post 2007, almost all Saturn models make use of the transponder style of car key, including the Astra 2008, Aura 2007-09, Outlook 2007-09, Sky 2007-09, Relay 2005-07, and the Vue 2008-09. Saturn is not a particularly advanced make of car, and as such, almost all types of Saturn car keys can be copied and duplicated using a simple on-board process or cloning the key data to an existing read/write key blank. The on board process, honestly it’s incredibly simple, is as follows: first, enter your car and close all of the doors behind you. Second, insert the functional key into the ignition leaving the key in the ‘Off’ position and then connect the jumper wire to the 8 and 4 terminals to the car’s data port beneath the dash board panel on the driver’s side. After this, the car will cycle the door locks to imply the beginning of the program sequence and you can safely press the remote lock and unlock buttons and hold for around 30 seconds until the car cycles the locks again, signifying the end of the process. Then just release the lock and unlock buttons and there you have it, you should have a programmed key. 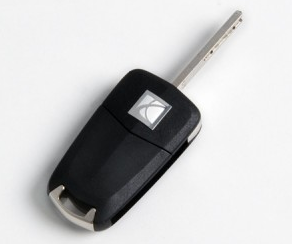 The most common type of Saturn car key is the standard chip key, although there are a fair amount of keyless entry remotes for the brand’s later models leading up to 2010. Due to their age, many Saturn owners have dealt with keys breaking in the car lock or elsewhere. Thankfully most locksmiths are still able to make a new key for you since, as previously mentioned, none of the car key technology used for the Saturn automobiles is particularly advanced. Be that as it may, even if you are using a keyless entry remote, we do highly recommend you invest in a standard chip key as well, so as to avoid finding out one day that your car’s remote has suddenly died and you’re stranded. Call AZ Car Keys Today For Saturn Car Key Replacement!